The first thing you should do after setting your password it to set up your profile. Here are a few simple tips. Cover background size is about the same as your twitter and facebook background. You may use your twitter or facebook background or create something new. Your profile image should be your picture and not your logo. 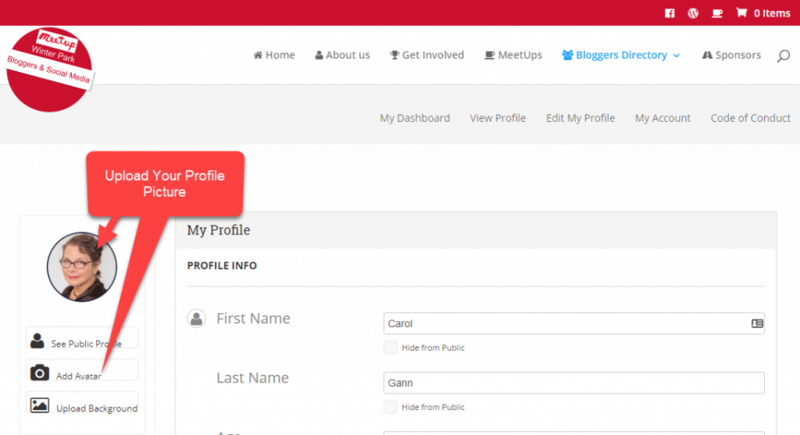 We want to get to know one another and grow in Blogger relationships. We want to recognize your face. Do not post anything on the website that you do not want everyone to know. This is a public website. 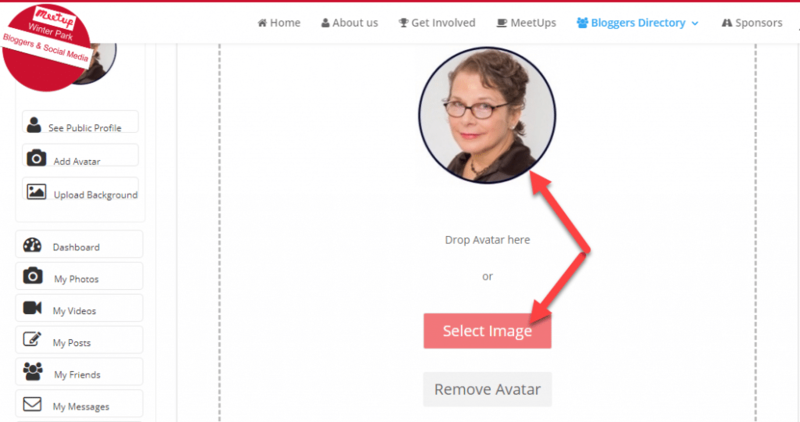 To select your profile image, click on the Red Button ‘Select Image’. 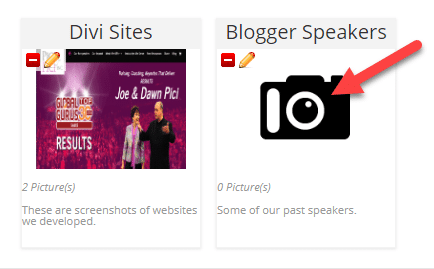 Search your directory to find the image you want to upload and click the ‘Open” button. You can change your profile cover background image. 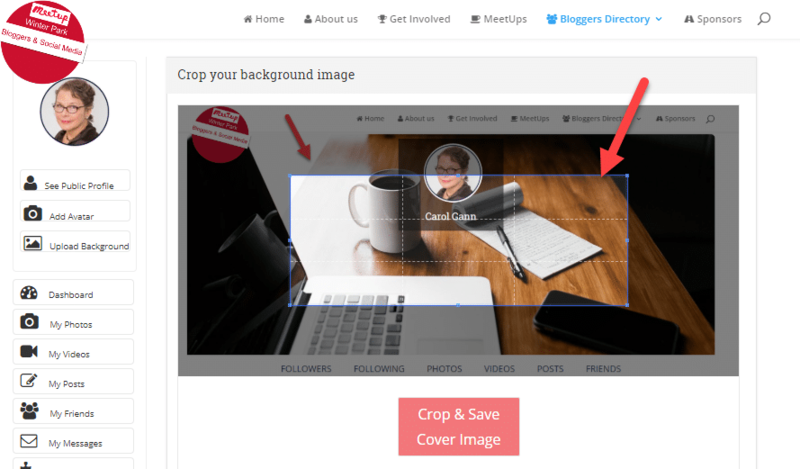 Cover background size is about the same as your twitter and facebook background. You may use your twitter or facebook background or create something new. Click the red button “Select File. 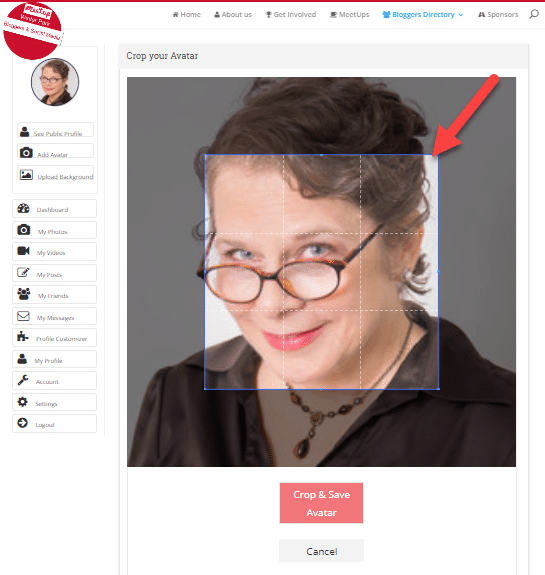 Find the image you want to use in your directory and click “Open”. You can move the blue box to crop the picture to the size you want or you can move to blue box to full size to use the whole picture. Then click the red button to save your image. 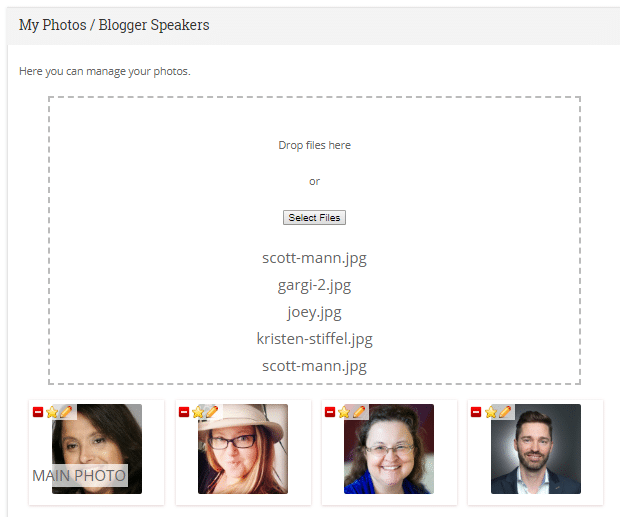 In the ‘Dashboard’ you have the ability to read your private messages from other bloggers. Here you can network and connect. Click on ‘My Dashboard’ to the message list. Click on each message title to read the message and to send a reply. You can also access your messages at the top of your public profile by clicking on the envelope icon. 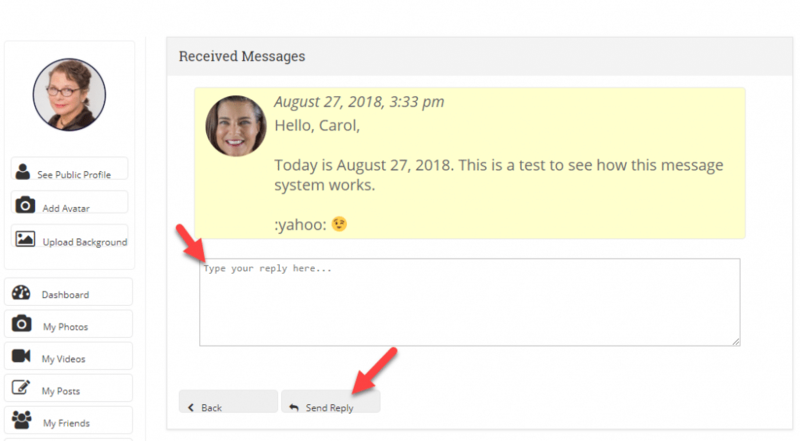 To send a new message to another blogger that has never messaged you, go to their profile and click on the “Send Message” link at the top of their profile page. 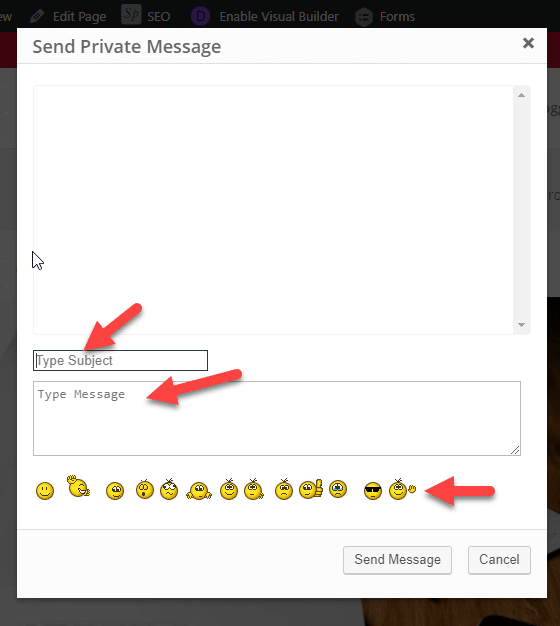 In the message box, you can type a subject, add the message with an emoji if you like. Then you can click the “Send Message” button. 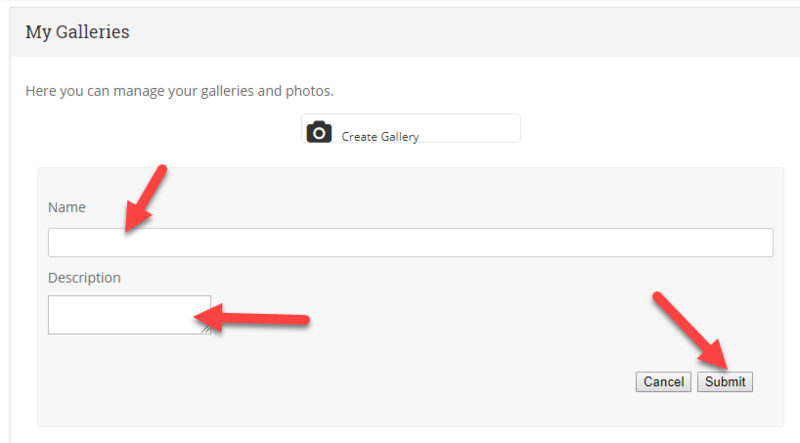 Before you can upload any pictures you need to create a Gallery to keep them organized. You will need to give your gallery a name and a description. Then click the “Submit” button. Click on the camera icon in your gallery to start uploading new pictures. 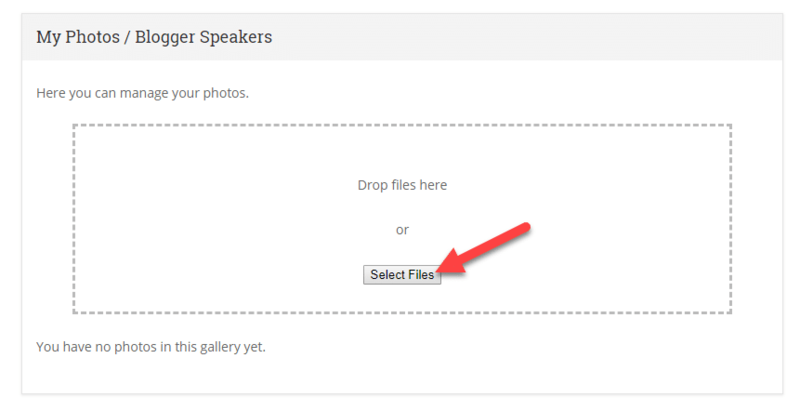 Click “Select Files” to find the pictures you want to add to the gallery in your directory. You will need to add one image at a time to the gallery.